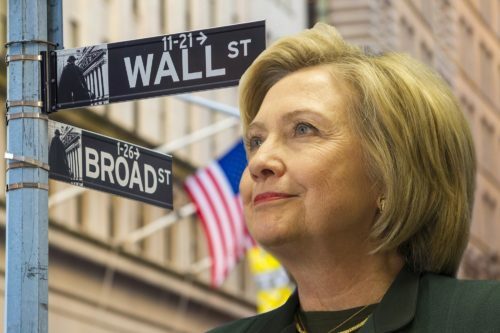 Hillary Clinton is a friend of Wall Street and the big banks. Yet according to her typical political spiel to the Democrat base, she wants to reform Wall Street and the banks. Well which is it? WikiLeaks has answered that question with its most recent document release. 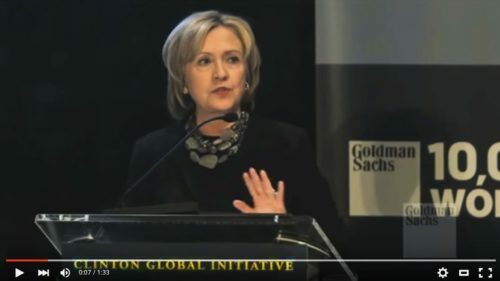 According to WikiLeaks, Hillary gave many speeches to bankers. And in those speeches she said things like this, “The people that know the industry better than anybody are the people who work in the industry.” Hey Mrs. Clinton, here’s the thing. If reform is what’s needed as you claim it is, then do you really think that industry insiders are the ones to do it? If the banks and Wall Street are colluding in some kind of massive underhanded action against the little guy, why in the world would you think they can police themselves? And of course these concepts are what passes for “good policy” on the Left. The only problem is that none of that is good policy; open borders, open trade without requiring certain things from our trade partners? This is typical bad liberal policy; open EVERYTHING with no accountability. Our far too open borders are causing all sorts of problems as we speak. This globalist nonsense is destructive to free nations, as it leaves us open to being raided economically by those who simply want to redistribute our wealth. Oh, and the best part of all this? She was paid millions upon millions of dollars to schmooze with these bankers. The Clintons are rich based on deception of their base. For years, Mrs. Clinton refused to release the transcripts of these speeches. And now we know why. The things she said were a direct contradiction to what she says on the campaign trail. Hillary is best buddies with Wall Street. And you can take that to the bank. See video below.